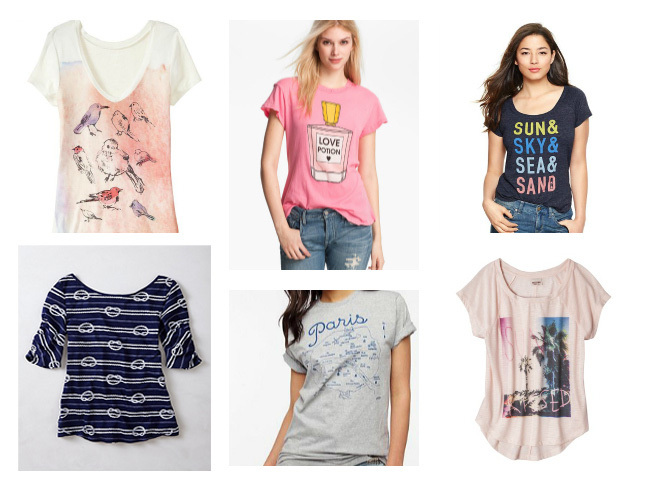 Casual warm weather days call for casual wear and there’s nothing more on-trend and easy than a graphic tee. Boasting print animals or chic maps of metropolitan cities, you can find a graphic tee to suit every personality, mood, and outfit. Match your tee with jeans and sandals or pair it with a maxi skirt for a dressier look. Wearing a graphic tee is a fun and stylish way to dress down, so take a peek at our favorites and get shopping!